What Kind of Milk Should You Drink? Milk is something you probably don’t spend too much time thinking about. When you walk through the dairy aisle in your local grocery store, you likely just grab the jug or carton you’ve always bought and rarely think twice. But when you really stop and look around a bit more, you’ll be astounded at the wide variety of milks you can choose from. 1%, 2%, whole milk, skim, lactose-free, rice milk, soy milk, coconut milk, goat’s milk, almond milk, even hemp milk. So many choices. And every option has its benefits and drawbacks, so which should you get? I decided to find out. So, let’s talk about which milk you should actually buy. What Kinds Of Milk Are There? So, What Milk is Healthiest? When you think of milk, the first image that pops into your mind is probably the bleach-white kind celebrities used to drink from a tall glass before proudly displaying a white mustache. That kind of milk is dairy milk, from cows. It comes in several varieties, including whole milk, reduced-fat (2%), and low-fat (1%). Those percentages refer to how much fat is in the milk by weight. Regular cow’s milk contains around 150 calories per serving, 8 grams of protein, 5 grams of saturated fat, and 12 grams of sugar. It’s also high in calcium and vitamin D.
This milk used to be pretty standard. It was tough to find any other options than this kind from the cow. 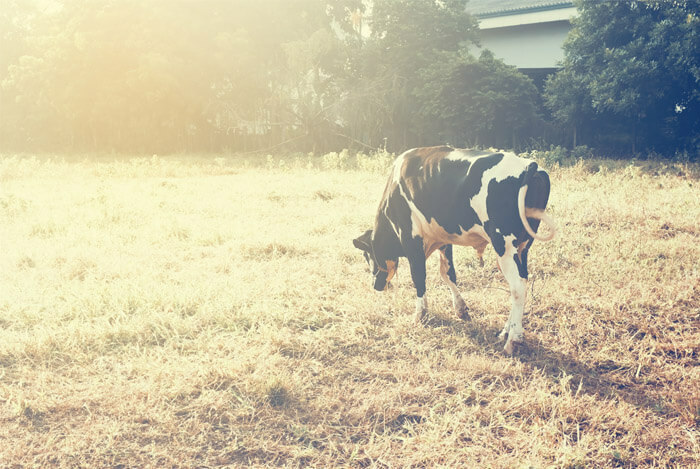 When you look even farther back, you’ll find a milk that was a different color, texture, and taste – one that had nowhere near the shelf-life of today’s product. You can still find that kind of milk today, but it’s pretty hard to get your hands on due to so many government regulations that have been set on dairy. The problem with “raw milk” is that it hasn’t been pasteurized. Pasteurization is a process where 161 degree heat is applied to every particle in milk to kill bacteria. If this wasn’t done, we’d run into pathogens like E. coli and listeria on a far more regular basis. Some promote this as a benefit, saying the bacteria found before the pasteurization process are actually good for the gut. However, most experts agree the negatives outweigh the benefits. Maybe that’s why raw milk is banned in so many states. 2 percent milk still has around 3 grams of saturated fat, 120 calories, 8 grams of protein, and 12 grams of sugar. Less calories and fat, same protein and calcium content. 1 percent or skim milk has 102 calories, 2 grams of saturated fat, 13 grams of sugar, 8 grams of protein, and the equivalent calcium and vitamin D content. Now let’s look at the other choices. The reason why it’s so tough for people with lactose intolerance to digest regular milk is because their stomachs lack the enzyme lactase. 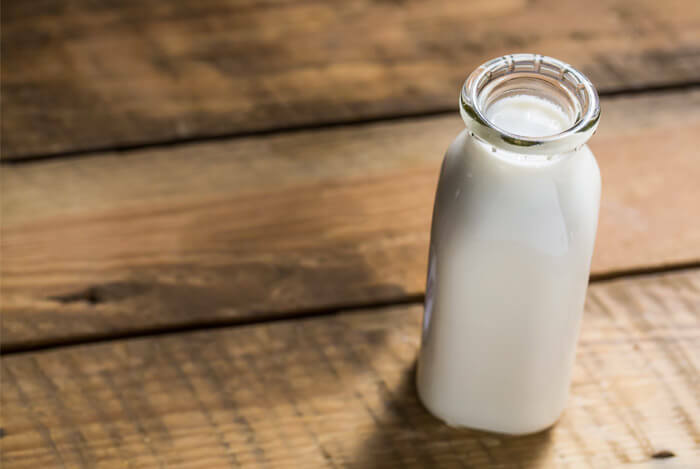 Lactase helps by breaking down the milk sugars that cause the often devastating gastrointestinal issues lactose intolerant folks are so familiar with. While the label “lactose-free” is often applied to non-dairy milks, here I’m talking specifically about the dairy kind with lactase added. Lactose-free milk contains far fewer grams of saturated fat (1.5 grams) than regular milk. At 110 calories, 8 grams of protein, 12 grams of sugar, and a comparable calcium content, lactose free-milk is a slightly healthier option for people who can’t handle traditional dairy. 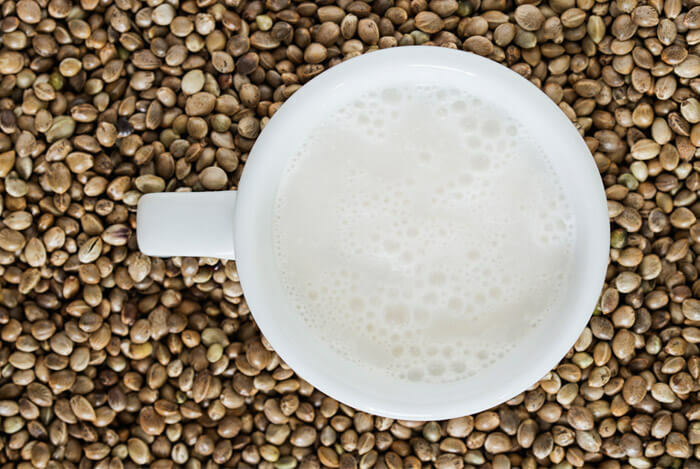 Soy milk was developed in large part due to people who have milk intolerance or allergy. 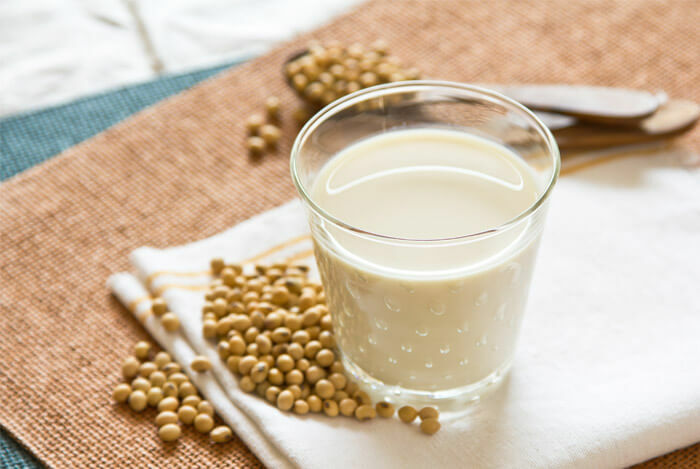 There are some very popular brands of soy milk alongside traditional dairy, and many people enjoy it even if they aren’t restricted from drinking the dairy kind. The amount of protein found inside the original soy milk is the same as what’s found in dairy milk: 8 grams, with 110 calories. Soy milk is often sweetened with added sugars (6 grams). For people watching their sugar intake there is an unsweetened variety. Protein in unsweetened soy milk is usually around 7 grams, and the calories are as low as 80 grams. Coconut products are definitely all-the-rage right now. Coconut water and coconut oil are both experiencing huge renaissances, even though they’ve been around for as long as island peoples have enjoyed their taste and benefits. 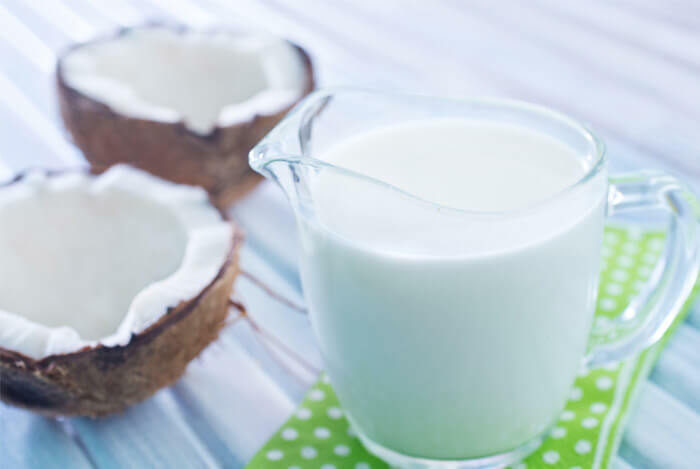 Coconut milk isn’t really the sort of beverage often served up in a glass, it’s mostly used as a creamer/sweetener, or added to cooking for flavor and consistency. Made by blending rice with water, rice milk is perfect for people who have allergies. It’s relatively rare for someone to have an allergic reaction to rice, making it the right choice for people worried about the likelihood of an allergy trigger. 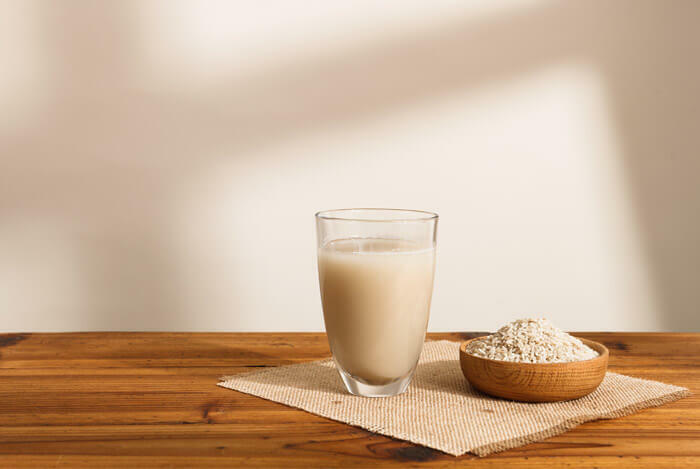 Unlike other milks, rice milk contains no saturated fat, but has a similar calorie count (120 calories) and sugar level (10 grams) to dairy milk. Goat’s milk really isn’t something you run into very commonly on American shelves, but it’s always maintained a healthy popularity worldwide. With 168 calories per serving, 10 grams of total fat with a slightly higher amount of saturated fat than dairy milk, 9 grams of protein, 11 grams of sugar, and equivalent calcium, goat’s milk is better in some areas and worse in others. There is less lactose in goat’s milk, which may prove easier on more sensitive stomachs. It has more calcium, along with 134 percent more potassium, but only 10 percent of the folic acid of cow’s milk. 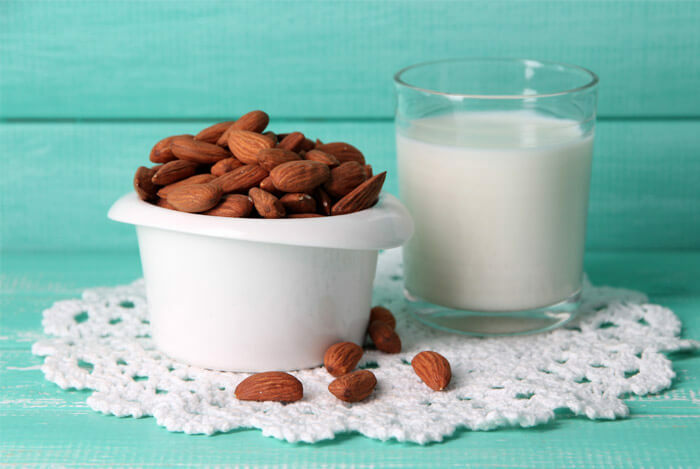 The product of ground almonds and water, almond milk has now seemingly conquered the plant-based milk market. In 2013, industry experts reported that almond milk had taken up a 2/3rds share of the market, destroying rice and soy milk. Regular, sweetened almond milk contains 60 calories per serving, zero saturated fat, 7 grams of sugar, and 1 gram of protein. Unsweetened has only 30 calories per serving. So, while it’s not a complete substitute for dairy milk, it has some certain health benefits over dairy. It contains a full gram of fiber, B vitamins, and it doesn’t require refrigeration. Some people like the taste more too. If you have food allergies, hemp products are not likely to cause any reactions. If you’re a vegan or vegetarian, it’ll work better for you than fat or lactose-free options. It packs a similar amount of calcium to cow’s milk, while providing desirable levels of magnesium, along with B complex vitamins. As with so many other choices, it depends. 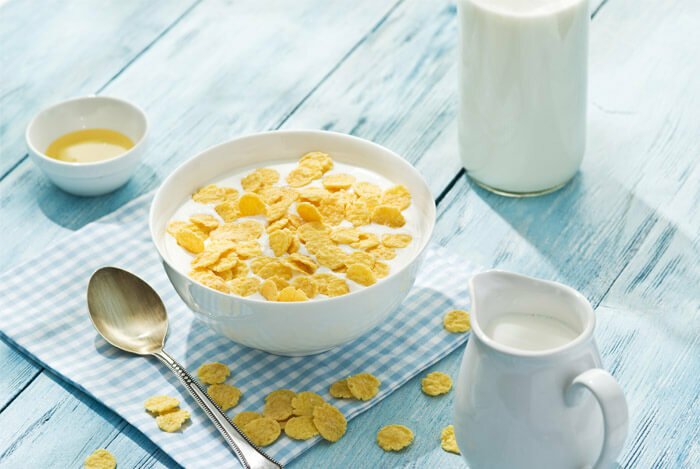 If you absolutely must have something to splash on your bowl of cereal or mix it into your coffee, an absolute winner is not entirely clear cut. While unsweetened almond milk certainly has the lowest calorie count of any of the types of milk mentioned, it’s sorely lacking in protein. If you feel your diet contains plenty of protein as is, by all means, go for it, but I still won’t crown it the victor. If you’re already on a diet and exercise regimen and think you could use the calcium and vitamin benefits present in most of these milks, but aren’t worried about the calories, for you it’ll all come down to flavor. The problem a lot of the milk substitutes have when it comes to flavor is that because they’re trying to emulate the way dairy tastes, they often have to make up for it with loads of sugar. So, keep an eye on the calories. At the end of the day, the smartest choice for you to make when it comes to drinking milk or a milk alternative is to go with what’s best for you. Try the alternatives out one by one, or even side by side if you can manage, and decide which has the best flavor and consistency. Where you would normally drink dairy milk with a certain meal, try one of the others instead. The process of elimination based on your personal preferences, cross-referenced with a proper inspection of nutrition labels, should provide you with the optimal choice. Your dairy aisle probably contains far more options than the ones I listed here, so if you must have your milk, keep looking until you find what’s right for you. As always, be careful with what you put in your body. Do your research. Be a wise consumer. What’s your take on the different kinds of milk? Have anything else you’d like to share? Let me know in the comments below!